Salaams Blogosphere. 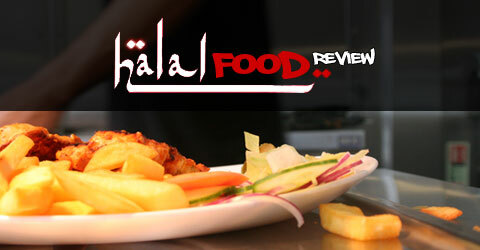 Today’s Halal Food Review is our first guest review on the site submitted by Haroon Ravat who has accompanied me on many a culinary adventure across the West Midlands. 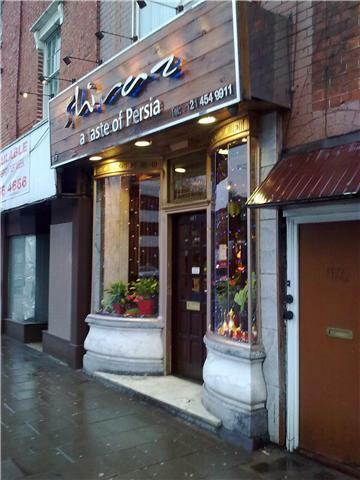 So sit back and enjoy our first review of traditional Iranian cuisine in the heart of Birmingham. Over to you Haroon Bhai! To start with I am no expert on Persian cuisine. 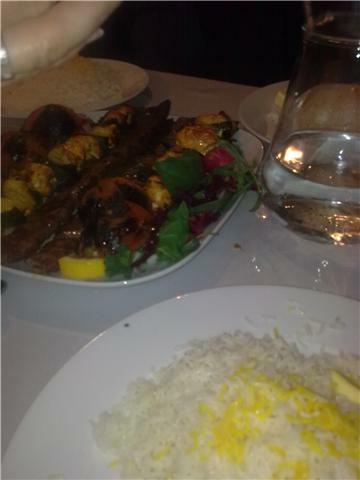 Birmingham only has around 4 Iranian restaurants in total and Shiraz is reputedly the best of them. The aim was to go and try the tour-de-force of Iranian cooking – Khoresht Faisinjan. Sadly they only serve this delicacy on weekends and on Iranian national holidays and I went on a Thursday. Gutted. 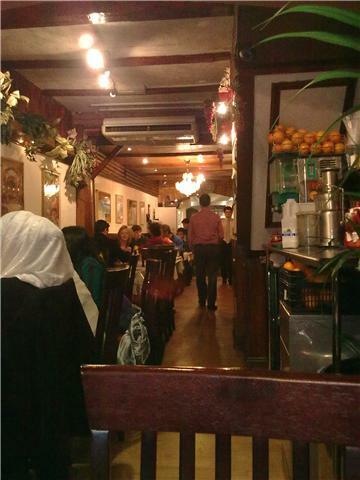 The restaurant appears to be a family-run establishment on the busy Hagley Road out of Edgbaston. Quaint, sophisticated but not pretentious either. The staff are friendly and welcoming. But what about the food I hear you ask? My Iranian friends swear by Chello Kebab Koobideh. This is their equivalent of the Indo-Pak sheikh kebab. But similarities aside, this is a different product altogether. The flavours are far more subtle using delicate herbs and spices instead of the weapons-grade green chillis that desis often utilize. We adapted this main course listing as a starter and it went down very well. For our main meal, we ordered a grilled sea bass and a combination of Jooje (chicken) and Barg (lamb) kebabs with saffron flavoured rices. Most dishes come with an excellent combo of salad and grilled vegetables. 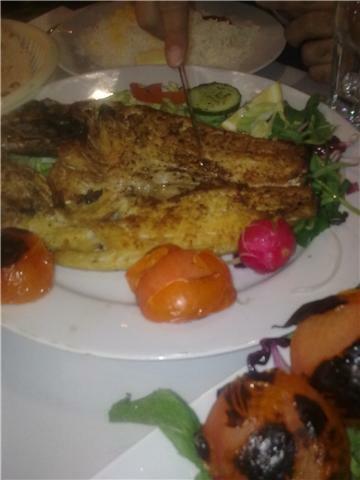 The fish was expertly grilled and presented on a bed of choice salads. Flaky, moist and delicate like all bass ought to be. The chicken kebabs were beautifully roasted on a charcoal grill. Tender yet still well done. The lamb kebabs scored an acceptable second place. I have a confession – Iranian naan breads are superior to the ones we are familiar with. They appear to be made with a healthier brown flour and aren’t hammered with yeast or lashings of ghee. Very natural in taste and texture. Excellent with humous. The menu does appear to be a little on the pricey side. However the portions are very generous. By ordering a combination of two or three main courses, a group of 4 of us ate like kings for a little over 60 pounds which isn’t bad going for a classy establishment like Shiraz. With a complimentary offering of Iranian rice pudding (sholezard) to finish of the meal I would thoroughly recommend Shiraz to the halal muncher who aspires for something a little different.